Stephen Turner Inc. specializes in commissioning, a quality process which ensures, verifies, and documents that a completed project or existing building meets the owner’s needs and expectations. Our services are drawn from a suite of commissioning techniques that are tailored to suit each of our clients’ projects. At a minimal level of scope, commissioning is required for all green buildings to attain accreditation under the leading green building rating systems. These rating systems give additional credits or points for rising above this minimal level of commissioning. Many of our clients are institutional owners who require truly comprehensive commissioning for better building performance. We tailor our process and approach to meet our clients’ particular requirements for each project. The efforts of Fundamental Commissioning are primarily during the construction period and are focused on installation verification, and functional performance testing of building energy systems. Commissioning tasks generally included in fundamental commissioning include Owner’s Project Requirements (OPR), Commissioning Plan, Basis of Design (BOD) review, commissioning specifications, installation verification, functional performance testing, and commissioning summary report. Stephen Turner Inc. has developed and tailors the commissioning process in collaboration with the project team to accomplish the owner’s project goals. Fundamental level commissioning is required by LEED, NE-CHPS, ASHRAE 189.1, and the IgCC. Enhanced Commissioning services are in addition to Fundamental Commissioning and expand the commissioning authority’s scope to be more intensely involved during the design phase as well as the first year warranty phase. The commissioning task during the design phase includes one or more focused commissioning reviews of design drawings. During construction the enhanced commissioning includes focused commissioning reviews of selected contractor submittals and development of a systems manual. Enhanced commissioning tasks during the first year warranty period include monitoring and benchmarking of building energy use, review of systems trend data, assistance with systems troubleshooting and optimization and facilitation of an end of warranty period review to assist with resolution of open issues related to commissioned systems. Enhanced Commissioning services are required by ASHRAE 189.1, NE-CHPS, and the IgCC, and is an elective credit in LEED. Building Enclosure Commissioning (BECx) is intended to ensure appropriate enclosure systems, claddings, and components are selected and appropriately designed, constructed, and tested to perform as required by the owner’s project requirements and basis of design. Stephen Turner Inc.’s building enclosure commissioning programs follow a very similar process as regular building commissioning and are based on NIBS Guideline 3-2012 Building Enclosure Commissioning Process BECx and ASTM E2813 Standard Practice for Building Enclosure Commissioning. Stephen Turner Inc.’s BECx program focuses on establishing a clear and integrated building enclosure requirements during design, uses pre-construction meetings and mock-ups to proof means and methods and establish project specific performance/acceptance criteria, and follows through with a rigorous site observation and corrective action plan. The exterior enclosure of a building represents a critical boundary between conditioned and unconditioned space. Its performance directly influences the design, construction, and performance of many interior energy systems that impact occupant comfort and operational efficiency. Building enclosure failures reduce energy efficiency, and equipment lifecycle, and occupant comfort. As building enclosure systems have become more complex, the process of verifying that each element of an overall system is designed and constructed correctly is of great importance. The exterior enclosure of a building includes all systems separating the interior environment from the exterior, including exterior walls, fenestrations, roofing and roof openings, below grade perimeter walls and the slab-on-grade. Limited Building Enclosure Commissioning is required by the IgCC and is an elective credit under NE-CHPS and LEED. Existing building commissioning ensures that building and systems are optimized and integrated to meet the current needs of building owners and inhabitants. Our existing building services are typically utilized by clients who are seeking innovative ways to improve the performance and efficiency of their facilities without the need for large capital investments. Stephen Turner Inc. offers project specific existing building commissioning services to assess the performance of building systems to verify proper system function and to identify which systems are using more energy than necessary. Our services allow building maintenance teams to optimize existing maintenance protocol and minimize long-term building maintenance. 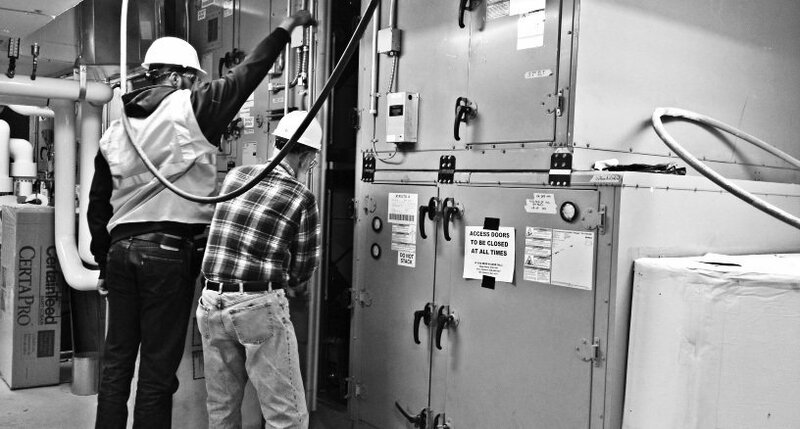 Combined with Facility Assessment, our team is able to provide extensive equipment longevity projection, energy expenditure analysis, and overall cost savings analysis. Stephen Turner Inc. provides recommissioning and retrocommissioning services in existing buildings to facilitate improved building energy and environmental performance through systems optimization, enhanced operations and maintenance, and reducing consumption and waste. Recommissioning is performed in buildings that have already been commissioned while retrocommissioning is performed in buildings not previously commissioned. Our approach to each project is based on the building, the occupant’s needs, and our client’s goals for the work. In addition, our services cultivate long-term investment plans for buildings that require substantive upgrades to address changes in building usage or deferred maintenance backlogs. These existing building commissioning processes allow owners to reduce their energy costs and environmental impact as well as improving the indoor environmental quality for building occupants. Standard existing building commissioning practices focus primarily on HVAC systems, however Stephen Turner Inc. has expanded its practice to include lighting, electrical, and building envelope systems. Stephen Turner Inc.’s monitoring-based commissioning services combines remote metering & data analysis with commissioning best practices to provide substantial energy savings and improved indoor environmental quality to building operators and owners. Stephen Turner Inc.’s monitoring-based commissioning services, Where remote access to comprehensive building automation systems is available, monitoring based commissioning provides a cost-effective way to monitor indoor environmental and energy related building performance. Monitoring-based commissioning includes remote system monitoring services, energy performance tracking and analysis, and can include planning and implementation of systems improvements. Monitoring-based commissioning helps ensure the persistence of energy and environmental building performance. Clients often combine monitoring with our Enhanced Operations & Maintenance services into the life cycle of their high performance buildings. 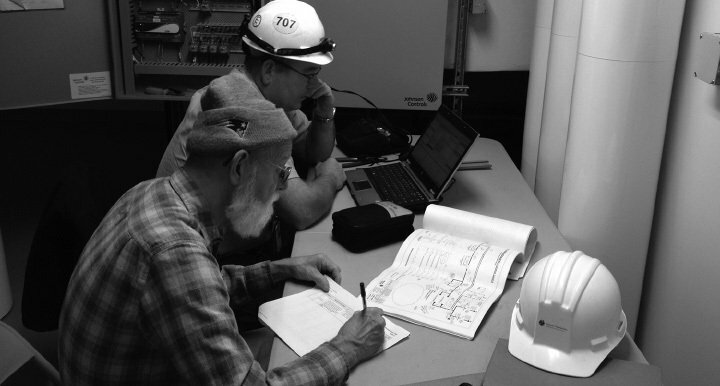 Stephen Turner Inc.’s Facility Assessment services are monitoring-based. Where remote access to comprehensive building automation systems is feasible, allow cost-effective monitoring of indoor environmental and energy related building performance. Monitoring-based commissioning includes remote system monitoring services, energy performance tracking and analysis, and can include planning and implementation of systems improvements. Monitoring-based commissioning helps ensure the persistence of energy and environmental building performance. Clients often combine monitoring with our Enhanced Operations & Maintenance services into the life cycle of their high performance buildings. Today’s high performance buildings, particularly larger buildings, incorporate increasingly complex systems. 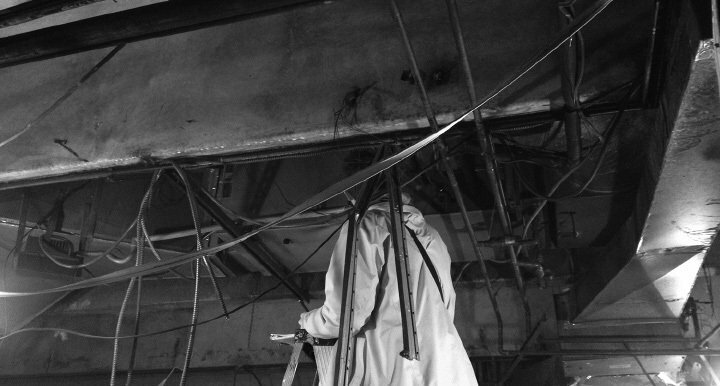 Stephen Turner Inc. assists owners of High Performance Buildings with operations and maintenance approaches to preserve and enhance building performance. Ensuring that the benefits of these systems and buildings persist requires enhanced operations and maintenance management and execution. Services include long term capital renewal planning, energy measurement and verification, building-specific enhanced preventive maintenance procedures, energy and indoor environmental information dashboards, integrated facilities management strategies, and client organization capacity building. Our training services complement our Enhanced O&M services to allow clients to incorporate best practices into their facilities operations. Stephen Turner Inc.’s commissioning services include enhanced Preventive Maintenance planning, procedures, or Computerized Maintenance Management Systems (CMMS) – database software packages for work orders, maintenance schedules, equipment inventory, and service records. Stephen Turner Inc. has first-hand experience with a variety of CMMS programs and their substantial benefits over long periods of time. Our documentation and operations experts offer accessible CMMS strategy and implementation services. Based on extensive field experience with campus and city-wide inventories, our approach is completely vendor-neutral and entirely client-specific. We’ll work with you to enhance your current implementation, or help find the right solution for your building or portfolio. We have performed equipment inventories, database creation, and ongoing updates. Our persistence coupled with our attention to detail and field experience will drive us to find the most useful solutions to serve your facilities needs and optimize your Operations and Maintenance budget. 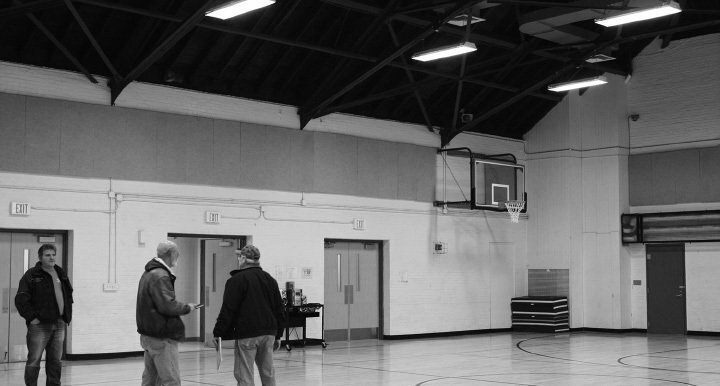 An energy audit is a systematic approach to problem solving and decision making. The primary goals of an energy audit are to qualify and quantify how building energy systems are performing, how that performance can be improved, and how outcomes of those improvements will benefit the owner in financial and non-financial terms. An ASHRAE Level 1 audit is a walk-through audit that will identify basic energy efficiency measures (EEMs) while limiting the necessary engineering time and costs to produce the report. It involves brief interviews with site operating personnel, a review of the facility’s utility bills and other operating data, and an abbreviated walk-through of the building. A summary report will focus on low-cost and no-cost measures, although capital measures may be identified when found. The report will also include a summary of utility data and benchmarking as well as simple payback estimates for EEMs. An ASHRAE Level-1 audit is intended to help a client understand how the building performs relative to its peers; establish a baseline for measuring improvements; deciding whether further evaluation is warranted; and if so, where and how to focus that effort. An ASHRAE Level 1 audit satisfies the LEED-EBOM prerequisite EAp1and is generally accomplished in the planning phase of existing building commissioning. 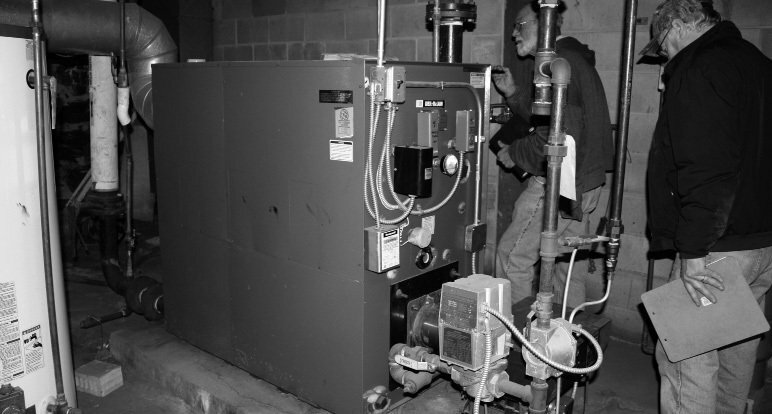 Not all buildings require an extensive energy audit or retrocommissioning services. 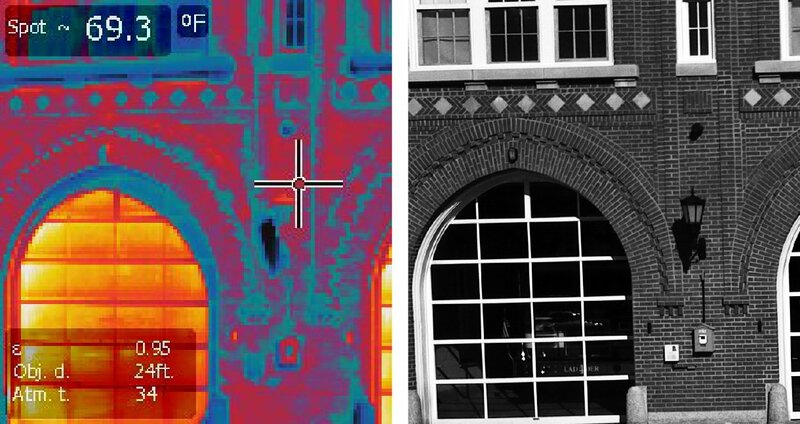 For some buildings a simple energy audit may suffice, while for other buildings, additional time and analysis is well worth the investment. An appropriately scoped energy audit will provide the right balance between audit cost and value of the audit. An ASHRAE Level 2 audit is more detailed and requires proficiency and thought to create a quality audit report. A Level 2 audit includes a complete description of the facility, including an equipment inventory, an energy balance, detailed energy savings and costs associated with each low-cost and not-cost measure, financial analysis of each recommended measure, identification and rough estimates of capital project costs and savings, and a recommended measurement and verification plan for each recommended measure. A Level 2 audit balances the need for engineering rigor with the need to keep auditing cost effective. An ASHRAE Level 2 audit meets the requirements of LEED-EBOM 2009 Energy & Atmosphere credit EAc2.1 and is sometimes selected by clients who do not want to implement a complete re or retrocommissioning process. An ASHRAE Level 3 audit is designed to provide additional engineering rigor for more expensive capital projects where risk is less tolerated. In these audits, trend logs and data loggers are used to better understand how the buildings react to changes in ambient conditions and occupancy. Calculations for HVAC measures are done with hourly simulations. Detailed costing estimates are provided, as are life cycle cost assessments. Typically a scope of work and schematics are provided with the audit so that the contractors installing the measures understand exactly what is to be installed. The reports contain more detailed descriptions of the measures. Level 3 audits are sometimes called Investment Grade Audits (or IGAs) and are typically done as part of a performance contract. Stephen Turner Inc. provides a variety of training services to clients and the public based on our expertise and service offerings. Training offerings include broad subjects such as the commissioning process or net zero energy building strategies as well as focused technical training on topics such as enhanced maintenance procedures, measurement and verification, and chiller plant optimization. Stephen Turner Inc. offers a wide variety of technical assistance and regulatory consulting services to utilities, public agencies, and other organizations. From building code trainings for officials and the public to custom program development and implementation, our wealth of technical experience gained in commissioning affords unique insight into strategic and programmatic initiatives. Available services include commissioning and retrocommissioning program development, building code trainings, stakeholder engagement programs, quality assurance/quality control program development, regulatory environment assistance, and rate structure impact analyses. Our data-driven, client-focused approach is rooted in our daily experience in buildings.